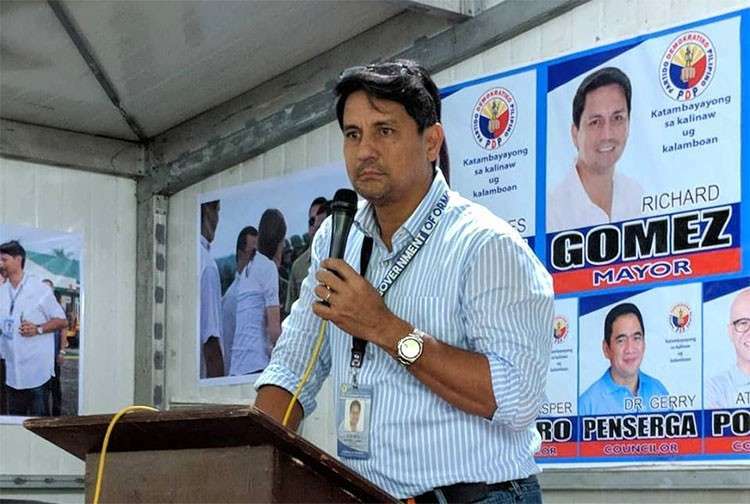 A BUSINESSWOMAN accused Ormoc City, Leyte Mayor Richard Gomez of political harassment for issuing a cease and desist order against a poultry farm that is allegedly operating without a business permit. Jessica Sia, corporate secretary of Ormoc AOG Inc., said Gomez is apparently "going after an established legal business of his political rival without due process." Ormoc AOG Inc. is owned by Sia, daughter of former Ormoc mayor Eric Codilla, who is running for the mayoral post against Gomez in the May elections. "Ormoc AOG Inc. was ordered closed down by Mayor Richard Gomez without proper notice or hearing, and without affording us due process. We have valid business permits issued by the City," said Sia. "The first time we were informed of our supposed violations was through the media since copies of the closure order were distributed to the media personalities known to be close to the mayor, before it was pasted on the farm’s perimeter and then delivered to our house. Is this how legitimate businesses are treated by the City Government? Or is ours a special case because my father happens to be running for mayor against Mayor Gomez? This is nothing short of harassment," she added. 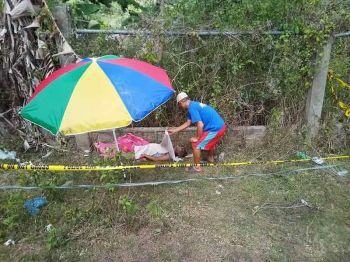 Sia also said in a press release sent to SunStar that Gomez, in the cease and desist order dated January 31, 2019 and delivered February 1, merely stated that he “received reports” that the farm had no permits. The mayor addressed the order to Codilla. "The order was implemented without notice and hearing of their supposed violations," said Sia. She claimed that on the same day the order was delivered, she sent a letter to the City Government stating that the farm is not owned personally by Codilla but by Ormoc AOG Inc.
She added that she also sent copies of the permits for the farm from 2010 to 2018. She cited that she had also applied for renewal of the permit for 2019, showing copies of the official receipts for her application fees. Sia pointed out that an immediate closure of the farm will pose risk to the people because they have 30,000 poultry ready for harvesting. “Directing the immediate closure of the poultry farm is too harsh. In the first place, the corporation should be given due process. The farm is not a danger or risk, nor is it a threat to the residents. It is not subject of any complaint, so the closure order is disproportionately extreme,” she said. "Despite this, Gomez, in another order issued February 4 and signed by the business permit and licensing officer, insisted on the closure," Sia said in a statement. This time, the order was addressed to Sia as representative of the company. “We have permits to show that we have been operating legally since 2010. We suspect that the cease and desist order is obviously meant to harass those that are from the other side of the political fence, since they did not give us due process. We suspect further that this is purely grave abuse of authority in furtherance of his political agenda, more than anything else,” added Sia. Sia said she was called to the City Hall last February 6. "In a meeting that morning, the business permit licensing officer merely told her to 'comply' with the requirements and spoke nothing of the closure orders," stated the press release. "In the many years that my father was in public service, we had encountered various families as political rivals. But this kind of economic terrorism is a first. When my father was mayor, Ormoc was awarded as the most business-friendly city. Asa na ang pagka business-friendly sa Ormoc karon?" she said. Asked for comment, City Legal Officer Joy Mejia-Romero said “what was issued was only notice to cease and desist from further operations due to lack of business permit,” and not a closure order. "The order dated January 31 in fact stated that it was without prejudice to the City availing of other measure, including issuance of closure orders. In their reply, they in fact expressed their intention to continue to operate notwithstanding the issuance of the order and their attention being called to the lack of Mayor's Permit," Romero said. “On February 4, the City repeated its previous order for AOG to cease and desist from further operations and invited them to a conference on February 6 for the submission of the required documents. They were never ordered closed, but was only asked to comply with the provisions of existing laws and ordinances,” she added. She said the permits presented by Sia were all issued to Ormoc AOG Inc. for a business located in Valencia, Ormoc. “The poultry is located in Catmon. Since the Mayor's Permit Ordinance and even the Tax Ordinance requires that the conduct of similar business requires separate permit/license for every business, as per the Local Government Code, as per applicable ordinances. 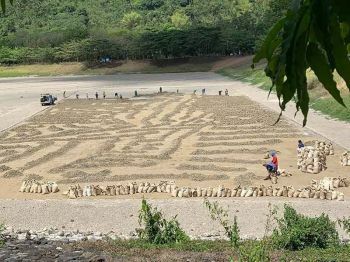 Unless AOG through Ms. Sia or its representative is able to present a Mayor's Permit for the poultry in Catmon, the presumption is that it is operating without such permit,” Romero said.